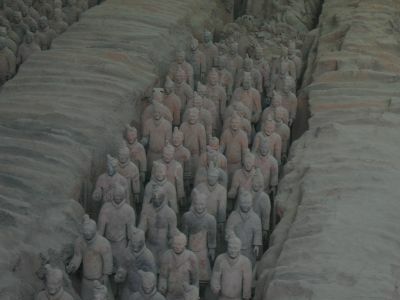 the terracotta warriors in xi'an, china. 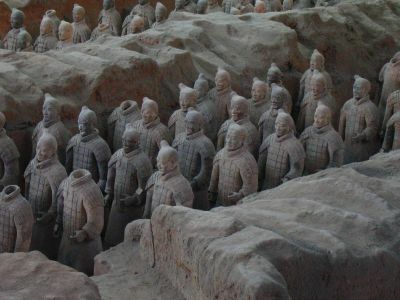 these sculptures of chinese warriors were placed in the hallways of the tomb of china's first emperor, qin shishuang, in order to protect him in death. the warriors were buried and undiscovered for over 2000 years until 1974 when some peasants who were digging a well stumbled upon them. i toured the tomb on election day in the u.s.a. with, starting with the top row, spencer from california, marie, zack from minnesota (a fellow mankato man, t.j.), charlotte, neil, and camilla. the dragon town youth hostel in chengdu, china. a bed in a 4-bedroom room here cost $2.50 per night. 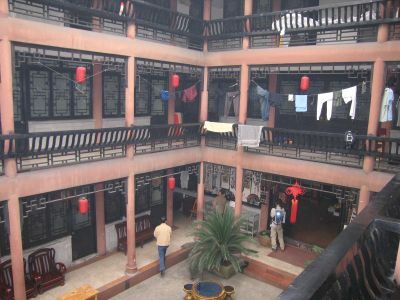 many of the hostels in china were dirt cheap with a great atmosphere. 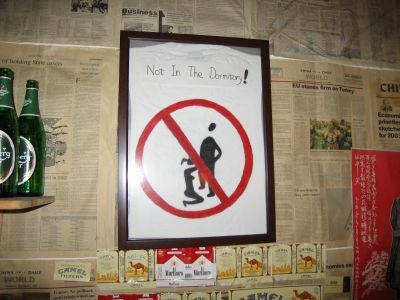 there are rules in these hostels as this sign demonstrates. 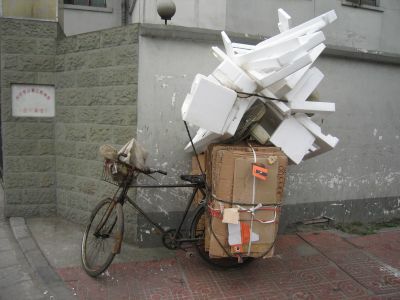 they carry anything and everything on their bicycles in china. neil and i explored every new town by wandering aimlessly for hours and hours. 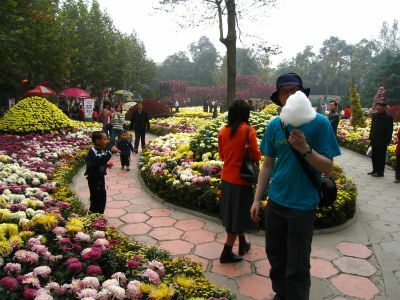 we stumbled into a colorful park in chengdu, china and he was thrilled to find cotton candy, or as he calls it, candy floss. 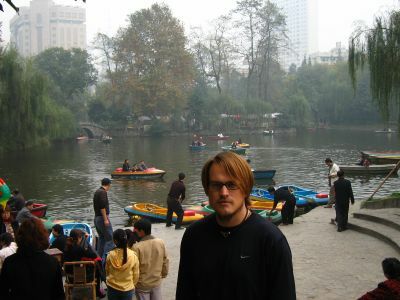 that isn't a hollywood set behind me, that's a pond in a park in chengdu. 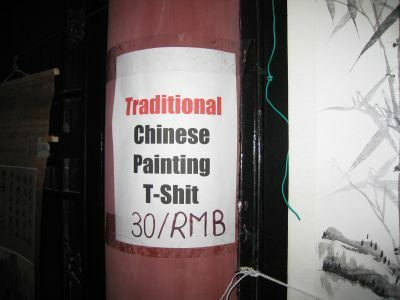 nothing i saw in china looked more chinese than this. love this shot. 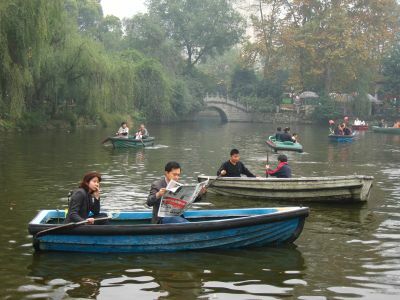 her man reading a newspaper and her rowing the boat doesn't seem like an ideal date to this woman.